Everyone has their burdens. Everyone! Whether it’s trying to stretch out meagre incomes that never go far enough. Or managing difficult marriage and family relationships. Or being out of work. Or desperately wanting a better job. Or anxiously awaiting the results of medical tests. Or coping with the wounds left by emotional, physical or sexual abuse. Or parents carrying burdens, trying to provide for their children, trying to nurture their character in spite of everything that is wrong in our culture. We struggle under our burdens. Isn’t it amazing that we take so long to come to Jesus! Do you know that some people never come to him! One reason they don’t come to him is that what Jesus said and did has been so twisted by Christians that they can’t take it seriously. There are so many BEAUTIFUL TEACHERS of the Good News. You’ll find them in churches of all backgrounds and traditions. But there are FALSE TEACHERS out there as well. There always have been. Some of them say that faith in Jesus removes our temptation to sin, or that it automatically gets rid of doubt and fear. Or that with Jesus in our lives we’ll never feel lonely again. Some of you have even been told that if you really trust in Jesus your kids won’t go wrong, or they’ll get rich quick, or they’ll never get sick. If only! Jesus himself was not free of pain. And he had so many burdens to bear. Just look at his irritating friends, or the rejection he got from those he was trying to help! Yes, he prayed, and he enjoyed his communion with the Father in the Holy Spirit (and so do we, in him)! But the Word of God makes it quite clear that CHRISTIANITY IS NOT AN INSURANCE POLICY AGAINST CALVARIES OR GETHSEMANES. What Jesus says to us in that little verse out of Matthew’s Gospel is that if we let him, he will yoke us up to himself, and pull us through. (Actually, I think that a lot of the time he ends up DRAGGING us through!) Sharing his yoke – being yoked up to him - means that his strength is what we draw on. Together we overcome obstacles. Together we make progress in what he’s given us to do. We still have to do it. We still have to struggle some of the time. But we’re not alone. He is stronger than we are. And he gets us through! Well, that’s what it’s like being yoked with Jesus. It’s HIS strength that matters. We draw on HIS strength for our struggles, our burdens. So it was that St Paul, who suffered so much, could say that because “HIS grace is sufficient” . . . “when I am weak I am strong” (2 Corinthians 11:9-10). But there’s more! When you read the Bible, you see that the people around Jesus bore really heavy burdens, and their religious leaders – without any shame – imposed even more: laws, rules and regulations that could never be met, as well as the idea of a viciously angry God who was never satisfied. No wonder the relationship they observed Jesus having with his Father-God was the envy of his friends. They said to him, “Lord, teach US to pray.” Jesus knew his Father to be gentle, caring, and generous, with a love infinitely greater than any human love. Did you know that being yoked up to Jesus is letting him drag us into his relationship with the Father. and make me a new person. You ask me to come to you and rest. your humility, your kindness and your love. Help me to rest in your presence. May I find peace for my soul. as you have reached out to me. 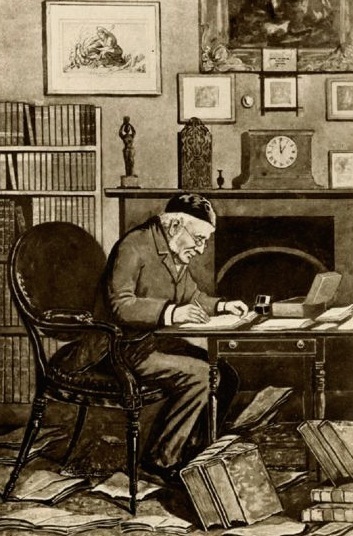 It is a pity that the Oxford Movement leader, Dr Edward Bouverie Pusey (1800-1882), is often compared unfavourably to John Henry Newman, or thought of primarily as a contoversialist and/or theologian. Of course he was a very great theologian and Biblical scholar. But Fr John Hunwicke spoke for many when he said in his blog a few years ago that Pusey was “one of the very greatest Catholic teachers and spiritual directors of the modern period.” Throughout his long life, Pusey had his fair share of personal disappointments and tragedies, so what he says when he preaches or gives spiritual direction is neither trite nor untested by experience. I share with you today large slabs of a wonderful sermon of his, GOD’S PRESENCE IN LONELINESS, from the book “Sermons for the Church’s season from Advent to Trinity”, published in 1883. God says, “I will allure her.” He vouchsafes to speak to us after the manner of men. He will give us. He saith, “Love for love.” The world hath its sweetnesses, but so hath God. The world would allure us by tinsel, pleasures which fade, joys which destroy; God would allure us by realities, some foretaste of “the torrent of pleasure” which shall overstream the whole soul, some light from Himself, parting through the clouds and illumining the soul, if but only with one flash of unearthly brightness, a sweetness which bathes it, as it were, in joy unspeakable, a sense of childlike love, with which, if it but last, it feels itself again a child of God. “I,” He saith, “will speak to her heart; “sometimes, so that the soul seems to hear His Voice within her, saying, as it were, “The Master is come, and calleth thee; “rise up quickly; sometimes by the gift of tears, in which the long pent-up heart seems to gush forth; or in some devoted purpose, henceforth to be wholly His, and in all things to aim at Him alone and His glory; or in willingness to suffer gladly any chastisement He vouchsafes to send; or in some thrill of the whole soul, at the thought that it can be yet the object of the love of God. He speaks as we may best bear to hear, and is fittest for us; but by Himself or by His servants does He speak to every soul which, led by Him, in silence waits for Him. Yes! blessed are those holy hours, in which the soul retires from the world to be alone with God. God’s Voice, as Himself, is everywhere. Within and without He speaks to our souls, if we would hear. Only the din of the world, or the tumult of our own hearts, deafens our inward ear to it. Stillness is as His very Presence, for, like the prayer for the Prophet’s servant, it opens our senses to perceive what was there to behold, only our eyes were holden. “There is neither speech nor language; the voice is not heard; but “day unto day uttereth speech” to hearts that hearken, “and night unto night sheweth knowledge.” All God’s works, because He has made them, bear the traces of His Hand, and speak of Him to the soul which is alone with Him. All works of man, directed or over-ruled by His Providence, every thing, good or bad, speaks of His Presence or His absence. But, chiefly, in the inmost soul He speaks, because there He dwells. Thoughts of Him seem to occupy the infantine eye, as it gazes with such fixed, placid, loving earnestness on something we see not. Him the child’s heart, unknowing, seeks, as, unsatisfied with all around, it longs for some deeper love, which shall fill its soul, some one who shall love it best, whose whole love it can have, undiminished by His love for all besides, which can understand every motion of its heart, share its every feeling, wholly love it, and be wholly beloved. And if these first bright drawings have been wasted, still, while it wearies itself with vanities, each pause and breathing-place in its pursuit tells it of another Object, for Whom it was made, Who is not to be found where and as it seeks. Thence is it, that until, worn out with chasing the wind, it turns to its God, the soul shrinks firom being alone. Ye must have felt, some time, an awe come over you, as ye of a sudden stood alone. To be alone is to feel the Presence of God, in love or in displeasure, as a Friend or a Stranger, as One Whose Voice the soul hath heard and known and loved, or One it dreads, feeling itself condemned by It. So does God watch over the soul, so plead with it, so ever-present is He, so unwilling to part with it, or that it should part with Him, its only Good; so doth He long, as it were, to find an entrance there, ever knocking at the heart, ever striving to find an avenue unto it, that it may receive Him, and, in Him, be blessed for ever. And hence, until the soul will open its whole self to God, it shrinks from inward and outward loneliness. The restless love of amusement, society, outward excitement, even reading, besides any object for itself, has mainly this, to escape being alone with its own thoughts, because there it will find God. Dull often, and weary will the employment be, but, like the clay used by savages to dull the pain of hunger, it stifles in the soul the sense of the Presence of Him, Whose love it knows not. Once, brethren, at least, ye must be alone; and lonely indeed is that journey, if He be not by thee, Who first trod it for thee, that in it thou mightest “fear no evil.” None else can then share thy fears; none can so speak to thy heart; none, though he would die with thee, can share thy journey with thee. Alone must each give up his spirit unto Him Who gave it. Oh may it not be alone, but in union with Him, Whose Words we shall soon hear, “Father, into Thine Hands I commend My Spirit,” and Who, with His own, commended ours. But will He then indeed be with us in death, if we be not with Him in life ? Oh, let us then learn to be alone with God now. It is only afar off that the wilderness looks a waste and terrible and dry. Was it not there, that man did eat angels’ food, and water gushed out of the hard rock, and bitter waters were made sweet, and God bare His own, and their feet did not swell, and He spake unto them, “and proclaimed Himself merciful, and gracious, long-suffering, and abundant in goodness and truth.” Trust thyself alone with Him, and so in thine inmost heart will He proclaim Himself unto thee, “The Lord, thy God, keeping mercy for thousands, forgiving iniquity and transgression and sin.” There shalt thou speak to God “face to face,” and “hear what the Lord thy God will speak “in thee; thou shalt tell Him thy sorrows, thy falls, thy sins, the wildness, or forgetfulness, or carelessness of thy youth; there pour out before Him griefs which thou wouldest shrink that the world should know, and He shall say unto thee, “Thy sins be forgiven thee; go and sin no more.” There shall He renew thy soul, hear thy prayer and answer it, shed hope around thee, kindle thy half-choked love, give thee some taste of His own boundless Love, give thee the longing to pass out of all besides, out of thy decayed self, gathered upward unto Him, Who came down hither to our misery, to bear us up unto Himself and make us one spirit with Him. “He will allure thee and bring thee into the wilderness, and speak unto thy heart.” He will fence thee round, that nothing outward break in upon the sacred stillness of thy soul, which seeketh to be hushed in Him. Where He is, is great peace. Learn to commune with Him in stillness, and He, Whom thou hast sought in stillness, will be with thee when thou goest abroad. Go not abroad out of thyself, and He will not depart from thee. He cometh not to us, to leave us, if we would detain Him with us. Gather thyself from time to time in thyself; recall to thyself, “Whose am I? for whom am I doing this? how would God have me do it?” Lift up thine eyes to the holy “Pattern shewed thee in the Mount,” even His, “Who came not to do His Own Will, but the Will of Him Who sent Him.” Thy Redeemer, Who would work all thy works in thee, will gather thee up wholly into Himself, all thy thoughts, words, and deeds, that they be thought, spoken, done in Him. His visitations are seasons of grace. Miss we not for our own souls, any. So shall joy spring out of sorrow, abundance out of want, comfort out of desolation, hope out of hopelessness, rest out of trouble, life out of death, from brief “afflictions” an “eternal weight of glory.” God shall speak to our hearts, and our hearts shall say unto Him, “Thy Face, Lord, will I seek;” and He Himself shall be the Strength of our hearts now in this “valley of the shadow of death,” Himself, “Who filleth all things,” shall, “in the land of the living,” and “the Brightness of His Presence,” be our Portion for ever. “Shew me, 0 thou whom my soul loveth, where thou feedest, where thou Rest in the mid day.” (Cant. i. 6). “They said to him, Where dwellest thou ? He saith to them, Come and see. They came and saw where he abode, and they stayed with him that day. Now it was about the tenth hour.” (Jno. i. 39). If it may be said with reverence, what a bad story-teller is St. John! His gospel is a series of fragments - infinitely precious fragments, but fragments nevertheless - preserved from the hoarded memories of a very old man, who follows his own train of thought, as old men will, not stopping to consider what details it is that his hearers want to know. Nobody, you might say, would have been a worse journalist. He just recalls for us those unforgettable hours when he and St. Andrew paid an afternoon call on Our Blessed Lord in His own lodging-place, and put the sun to rest as they sat talking with Him. On that memory his mind reposes, and he tells us no more - what manner of habitation it was, whether Our Lord was staying with friends, or with His Mother, or quite alone, what His habits of life were, all the things we want to know. He lodged with Zacchaeus, he lodged with Martha and Mary; otherwise the gospels, I think, give us no picture of the entertainment earth gave to him, who had not where to lay his head. For once, we think we are to hear more, and we go away disappointed. And yet St. John himself had felt just that curiosity, long before. What a natural instinct it is, when we meet somebody casually whose personality impresses itself on us, dominates us, to want to see more of him, and to want to see him in his own setting, against his own background, where he lives! The pictures on the walls, the books that lie on the shelves, the very knick-knacks on the mantelpiece will have something, surely, to tell us about him; they will make a frame for his personality, and we shall feel that we know him better. So it is with the bride in the Canticles; “ Shew me, 0 thou whom my soul loveth, where thou feedest, where thou Rest in the mid day”—in those voluptuous airs of King Solomon’s harem, he is out of place, he does not fit into the picture; let her see him among his flocks in the still, midday countryside, and she will know him as he is. So it was with St. John and St. Andrew; they know Our Lord only as a passer-by in the crowded ways; they follow as if to track him down to His lodging, and He divines their purpose, and invites them to pass the rest of the day there. What kind of picture are we to form of it ? Possible, no doubt, that when Nicodemus came to see Our Lord by night he found Him in some rich dwelling where a devout host made everything comfortable for him. But I think we are all inclined to imagine the scene of that sacred hospitality as a more makeshift affair; a deserted house, perhaps, with the windows half boarded up; a straw mattress in a corner and not much else in the way of furniture; or just a cave in the cliffs, beyond Jordan. And this is the Prince who has come to suffer for His people; this is the palace which suffices for His earthly needs! That was the kind of picture, I imagine, that conjured itself up in the memory of the old apostle, and he did not tell us about it; why should he ? After all, it is what we should expect. We know, of course, that He is everywhere, that He cannot be confined in space, but still we ask for evidences of, His presence, and would trace the influence of it, if we might, here rather than here. When a storm of wind howls about our ears with unaccustomed fury, we catch an echo, as it were, of His omnipotence; when a sunset paints the sky with unwonted richness of colour, it seems like a mirror, however imperfect, of His uncreated beauty. But the illusion only lasts for a moment; when we think about it, we realize that this is a trick of the fancy; we are isolating an experience and making something divine of it; God is not in fact any nearer to us - how could He be nearer to us ? - in the storm than in calm, in the cool of evening than under the brazen sky of noon. God is everywhere, but He is not here or there, that we should find Him here or there more than anywhere else. Yes, for thirty-three years, but afterwards ? We can make our pilgrimage to the Holy Places, pass by the roads which were once trodden by Divine feet, mount the hill on which Our Lord suffered, worship, perhaps, at His very tomb. But it is all a story of yesterday; what use is it (we complain) that God should draw near to us in space, if He does not also draw near to us in time ? It is not enough that our God should make himself present to us; why does not my God make himself present to me ? As we know, God has foreseen that complaint of ours, and has condescended to make provision for it. Let us look at Jesus Christ in His home, in the tabernacle, and see how those surroundings fit Him, illustrate His dealings with us. First, He dwells in a very public place. The lodging in which the two disciples found Our Lord was in the wilderness, I suppose;beyond Jordan; but it was a place of coming and going, for all Jewry went forth to John, we are told, to be baptized by him. Our Lord was near the centre of things, then; and so He is today; in the heart of the greatest city in the world, you can find Him without difficulty. So great is His desire to be of use to us that He throws Himself in our way, makes Himself cheap by familiarity. He is not afraid of irreverence, so long as He can be there when we want Him. When they ask us where our God is, we do not have to map out the route of some far pilgrimage in foreign parts; He is close by, at the end of the next street. 0 Thou whom my, soul lovethwe should do ill not to love Him, when He makes Himself so accessible as that. Yet He lives there very quietly, a Prince in incognito. He walked beyond Jordan for all the world to see; but it was the tenth hour when He invited the two disciples to follow Him; it was an evening interview; and it was under cover of night that He talked to Nicodemus. Easy to find out where Our Lord dwells; but if we would converse with Him, be intimate with Him, it must be in the obscurity of faith—the veil of the sacramental species hides Him from our sight. He demands something of us after all; we must make a venture of faith in order to find Him. So accessible to all, and yet such depths of intimacy for those who will take the trouble to cultivate His friendship! And when He makes the tabernacle His home He dwells among us very humbly, in great simplicity. St. John tells us nothing, as we were complaining just now, about the hospitality he and St. Andrew enjoyed that evening. But everything we know about Our Lord’s life and Our Lord’s attitude makes us feel certain that it was only a mean lodging to which He brought them; I picture Him as stooping low, and warning them to stoop in their turn, as they entered the door of it. So in the tabernacle He lives a life of utter humility. Oh, we try to make the best of it with gold and marble and precious silk; but He has chosen simple things, common things, to be the hiding-place of His majesty. And as He has stooped, so we must stoop if we are to keep our appointment with Him in His chosen meeting-place. We must come to Him in abject consciousness of our own unworthiness. For, see, there is something more He wants to tell us about the lodging He has chosen on earth. Master, where dwellest Thou? Come and see, He answers - and bids us look into ourselves, into our own souls. It is there that He has chosen His lodging’: there, amid all those tainted ambitions and unholy desires, there, in the heart of our warped nature, He dwells in us, and what we are! 0 Thou whom my soul loveth, show me where Thou dwellest - heaven knows we need a guide to assure us of it, before we would dare to guess that He is content to dwell here. Thou must seek Myself in thee. In thy thought a closed door. A door closed, to Him? Not here, Lord, not in these hearts; come, take possession of them, and make them more worthy to be Thy home. Fr Bates: ". . . in his Sacrament of love he is present in a very special sense." for the blessing of the great City of Brisbane. One of my predecessors at All Saints’ Wickham Terrace, Brisbane (Australia) was Father Robert Bates. Some older parishioners, who grew up in that part of the inner city during his incumbency when today’s trendy Spring Hill was the very poorest end of town, would tell me stories of Father Bates' devotion and care, his zeal to preach the Gospel, his heartfelt attachment to the Catholic Faith in its fulness (for which he was often ridiculed), and his sense of humour. Robert Bates began training for the priesthood at the small Anglo-Catholic St John's College, Melbourne, but while he was there, World War I started and he enlisted in the Army. After serving at Gallipoli and in France, being awarded the Military Medal and being severely wounded, he entered Merton College, Oxford. He obtained honours in theology there, completed his training at Cuddesdon, and, in 1922, became curate at St Andrew's Bethnal Green in the poor East End of London. 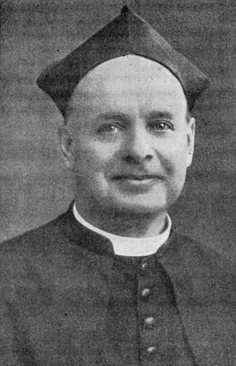 In 1924 he returned to Australia to become Vicar of Copmanhurst in Grafton Diocese, but two years later, when Father Maynard became Vicar of St Peter’s Eastern Hill (Melbourne), Father Bates replaced him at All Saints’ Wickham Terrace, serving as Rector from 1926 to 1947. Once the truth that the Blessed Sacrament actually is the Body of Christ enters not only our minds but entwines itself into the fabric of our spiritual lives, nothing is more natural than that we should seek his presence in this Sacrament, in order to pray before him more intimately and directly than we otherwise could. Of course, it is true that God is everywhere, but God is less hidden in you and me, his children, than he is in a stone or tree; and above all in his Sacrament of love he is present in a very special sense - in his Divinity, but in his humanity too, the gracious Body of Jesus Christ His Son, which worked out our salvation of old in the countryside of Galilee, God as we have learnt to love him, though now in this Sacrament concealed beneath the veil of bread and wine. As the devotion of men grew to this Blessed Sacrament of love, the Church began to organize services of devotion. Because these services are only supplementary and are not intended to take away from our attendance at Mass which is our duty, they are called “extra-liturgical.” They are not commanded, but do you have to command love? Father Faber’s desire for “Love’s reward, What rapture will it be prostrate before thy throne to lie And gaze and gaze on Thee,” has been realised in the Middle Ages, as to-day, for a moment in the Elevation of the Host at Mass. 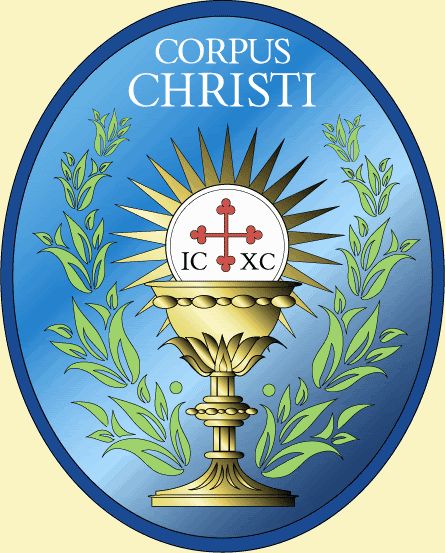 And it was the desire to extend the glory of this moment, that it became the custom in the 13th and 14th centuries to take the Sacrament from the tabernacle and expose It in a transparent vessel which became known as the “monstrance,” during Vespers of Our Lady. The service was given a traditional form by the lovely hymns written by St. Thomas Aquinas, that we use today - ”O Saving Victim” and “Therefore we, before him bending.” The service closed with the people receiving the Blessing of Our Lord as the sign of the Cross was made over them with the Sacrament, just as the priest does today as he gives you your communion. What more beautiful close to a day of worship could you imagine than to receive Our Lord’s own blessing in the twilight as you go home to rest, after a short service that experience shows is unrivalled in opening our eyes to the glory of the Heavenly Kingdom. For where God is, there is Heaven. Most of us certainly understand that, as John Keble said, “Where Christ is, he is to be worshipped.” And none of us would willingly withhold from him our devotion in this Sacrament that we have tried to make the centre of our life in this parish . . . Some of us are accustomed to assemble on Saturday nights, by way of preparation for our communions, and to take part in a service of Adoration before the tabernacle. But how many of us stay away? Have you thought of those long hours of the night when from the tabernacle go out waves upon waves of prayer and love over a careless and forgetful city; and with that ceaseless intercession is united not one of the prayers of us his brethren, and when we are invited there by the church, we do not care to come? Go HERE for background on Father Ignatius, O.S.B. (the Rev'd Joseph Leycester Lyne), Evangelist Monk of the Church of England In his warm and forthright evangelistic preaching, he was by no means unique among his generation of Anglo-Catholics. He had a huge following. 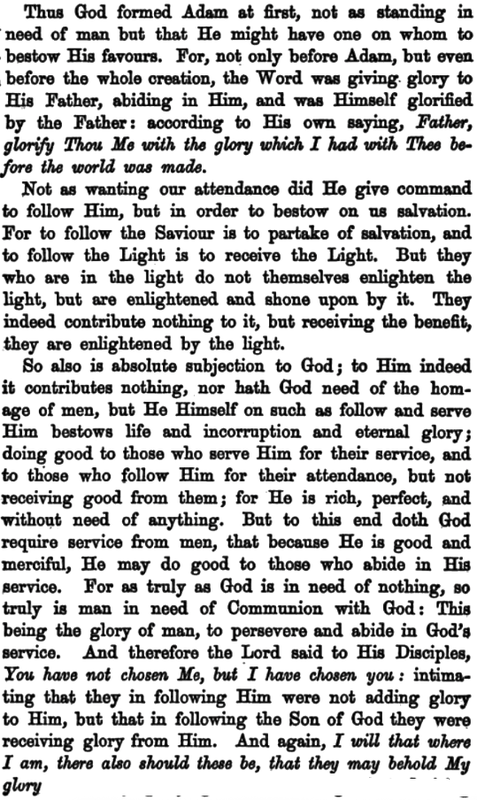 This is a sermon he preached as part of a week long mission at Westminster Town Hall in the spring of 1887. I should not be understood if I were not to preface my remarks by saying that as far as the visible altar is concerned, in the worship of the Visible Church, I take thoroughly the Catholic, and not the Protestant, view of the subject. I thoroughly accept the teaching of the Catholic Church with regard to the Altar and the Host offered on it; but I am not here to-day to speak on that aspect of the subject at all. There is quite enough teaching, to my mind, amongst us Catholics, whether Roman or Anglican, respecting the Sacraments; but there is not one-half enough teaching respecting that substantial foundation on which the subject of the Sacraments alone can rest. I quite believe that there is a vast amount of harm done in our midst by - if I may be allowed the expression - the promiscuous preaching of Sacraments. I often think it would be a very good thing if we could draw a thick curtain in front of the altar, for numbers of people who come into our churches to worship. We have too much Sacramental teaching. When I say “too much,” I mean we have it forced on people who are not prepared to receive it; forced on congregations who are not, in a body, prepared, in the sight of God, to derive any benefit from the teaching; on people who have never come to Christ - who do not know Christ as the Altar on Whom alone our every offering must be laid, before it can be accepted of God. Therefore, I want to talk about the Altar and the Host of that “Glorious Church” of the Redeemed; the Altar and the Host known, and loved, and used, and offered by those who are in Christ, and who have Eternal Life in Him. But first, we must begin with the “Host.” It is a very remarkable fact that, through all the ages of human history, there has been the thought permeating every generation of men, that there is need for an offering for sin in the sight of God. The one great idea of worship in the heathen world, as well as in the Jewish Church, taught by special revelation, was offering sacrifices to God. As I have reminded you in this place on a former occasion, even now, at this present time, if it were not for prevention by force, on the part of the British Government, there would be, in the temple of the goddess Kali in Calcutta, a human sacrifice offered continually; for her worshippers believe that a human sacrifice atones for sin for a hundred years. The idea of sacrifice, and the shedding of innocent blood, is quite common, therefore, to civilised humanity’s worship. I need not remind you that, in the old temples of the Romans, it was innocent blood that was offered before their gods. The idea of the innocent being offered for the guilty; the idea of the blood of the innocent victim being offered for the sin of the sinner, was quite a common, and universally accepted, idea. Therefore the thought of a “Host” is almost a universal idea. It is not peculiar to revelation or the Word of God. When we come to the Jewish Church, which worshipped by distinct revelation from heaven, we find there emphatic laws laid down respecting sacrifices. We see plainly that Almighty God commanded the sacrifice to be performed before the eye of the Israelite by the ritual sacrifice of innocent victims. All these things pointed to Christ. Even the very composition of the garments of the Jews pointed to the Gospel of Jesus Christ. The law of Moses is as full of Jesus as the four Gospels are, to those whose eyes are opened, and who are able, by the Holy Ghost, to understand these things. The idea then of “The Host” is absolutely necessary in all worship of the living God. Thus, dear brethren, we come to the thought that, in this Glorious Church of God’s Redeemed, there must be a Host offered; and in my text we see what that Host is. Perhaps there are some Christians here who have not quite accepted the thought yet that the Offering of Christ on the Cross has perfected them, so far as forgiveness of sin is concerned; hut He paid our debt to the “uttermost farthing.” Therefore, as far as pardon for sin is concerned, that one Offering has perfected us for ever; for it has blotted out the sin of His people. “The Lord hath laid on Him,” when He was offered, “the iniquity of us all;” therefore we are perfected so far as pardon for sin is concerned. Then this Offering perfected us for ever, inasmuch as it has purchased for us eternal Redemption. It is a Redemption that is eternal, for it is a Redemption that cannot be lost; cannot be put away; cannot be forfeited. It is eternal. And it is not a Redemption of another kind, namely: - “I have made this one Offering to perfect My people so far as this; to redeem them from the power of sin and the devil, so long as they do so and so, and act in such and such a particular way!” If it were, I am sure there is not one who would have any “sure and certain hope” as to the efficacy of such an Offering. No, it has perfected us for ever so far as eternal life, pardon of sin, righteousness, satisfaction, atonement and redemption, are concerned - perfected us for ever. St Paul says to the believing Church, to whom he writes: “But ye are washed, but ye are sanctified;” and, in another place, “sanctified by faith.” Directly the soul of the sinner, by the teaching of the Holy Ghost, in the preaching of the Gospel of God, has accepted Christ in His fulness, he has accepted, in that Gift, sanctification. As the Apostle writes to the Corinthians: He “of God is made unto us wisdom, and righteousness, and sanctification.” Therefore this One Offering has “perfected for ever them that are sanctified,” by the faith that is in Him. Do we offer this Host? Do we offer this Sacrifice for our sin? Do we rest on this Living Host, this shame-filled Host, this agonized Host, this once bleeding Victim of Calvary? And, as we there learn to find complete and immediate pardon, do we also learn to find deeper hatred, and deeper enmity, towards that sin which crucified the Lord of glory? Can I look at the offered Victim of Mount Calvary; see the crown of thorns on that brow; see the blood mingling with the tears; the sorrow and the anguish of that awful death of shame; the bleeding, outstretched hand; the pierced side; and then remember that it was my sin which crucified the Lord of Glory, and yet be willing for this sin to be uppermost within me? It is the continual power of the believer to offer this Host, which gives him such a power over sin. There comes a fresh power which enables him to realise the exceeding sinfulness of sin, that rendered necessary the offering of such a Host as the bleeding Son of God on Calvary. Now, brethren, do we know how, every day, to offer this Host? If you are Catholics, some of you go to the daily Mass, where, in solemn rite, by Christ’s appointment, you “show forth the Lord’s death till He come.” But do you go to Mass as a mere formalist or as a living Christian, a living part of the Glorious Church of the Redeemed? Do you see there, in that solemn Christian rite, offered in the way in which Christ, in the Gospel, appointed, His finished work for the believer; do you know how there to lay hold of, by renewed confidence and faith, day after day, the complete satisfaction of Calvary? Do you realise there, in all the solemn rite of the Church, that it is Jesus, and Jesus only, in Whom you can have hope of possessing pardon, salvation, and everlasting glory? I recollect a young Roman Catholic woman who attended our services. She told me that her clergyman had given her up altogether - that he could do her no good at all. She seemed rather to boast about having given up all religion; but she came to our mission service; and, all at once, by God’s grace, her eyes were opened to see that she was just such a sinner as the Saviour Jesus came to draw to His arms; and when the mission was over she had sunk restfully into the Saviour’s keeping; and she was able to say that she knew she had eternal life in Christ. After going to church the next Sunday morning, she came back to tell me that The Mass was a totally different thing to her now; that it had been nothing but an outward form of worship to her all her life before; but that it was now full of spiritual meaning for her. Now, my Protestant brethren, although you do not go to Mass, you say at the end of almost all your prayers: “Through Jesus Christ our Lord; “and yet how many hundreds of times do you say these words with the lips, without, in the least, realising their tremendous, their overwhelming power; for every prayer must fall flat to the earth unless it be offered through Him Who is the Only Offering by Which it can become accepted! Do you, my dear brothers and sisters in Christ, make use of this Host, in your prayers, really and truly? Have you learnt to realise that when, from the heart, you offer your prayer to God, and plead it in the Name, and for the sake, of Jesus, it is accepted, and that it must be answered, as is most pleasing to God, and in God’s own time? Then, brethren, what wasted actions, what wasted words there are in Christians’ lives unnecessarily! Brethren, that shilling was laid on the Altar! Do you lay your shilling on the Altar? Do you lay your daily acts on the Altar? Do you lay your every offering on the Altar? If you do not, your offerings are wasted offerings, so far as eternity is concerned. They will bear no fruit; and so far as God is concerned, God does not accept them. It is only in Christ and for Christ that our actions, great and small, are accepted. This is the Altar of the Glorious Church! And what dignity it gives to human life when we consider that we have this Royal Altar in our midst! Oh! begin to offer your offerings on the Golden Altar in this Glorious Church, and you will receive the grace of God. Lay everything on the Altar. In your churches, when the offerings of the people have to be collected, the churchwardens bring them to the Priest, who receives them on the plate, and offers them on the Altar. Well, this is just what we should do with the daily actions of our lives; with our daily struggles with sin; our daily endeavours to benefit our fellow-men and glorify God; we should just offer them on our Altar! Do all for Christ’s sake, so that when you do anything for anyone, you are offering your gifts on the Altar! And if we could only see, with the true seeing of faith, the magic process of what takes place in our offering! The instant it is offered in Christ, the simplest, the poorest, offering becomes transubstantiated into a perfect offering of glory and beauty before God. Dearest brothers and sisters, if some of us had realised the use of this Altar, when we were younger, what far less wasted lives our lives would have been; what far larger treasures we should have accumulated in Heaven against the eternal years of His Glory! Oh, the number of cheques you have drawn for a charity without a thought of Christ; only perhaps in order to have your name in a subscription list! Oh, what a number of kind words you have spoken, not for Christ’s sake, but only to please yourselves! How many actions and words have been wasted, in God’s sight,that have not been put on the Altar! God accepts nothing apart from Christ. Your offerings must be laid on the Altar of which we are speaking, before they can be treasured up in Heaven, and accepted in the presence of God. Begin your day of a morning by offering up its coming hours on the Altar. Have your best intentions laid on the Altar at the beginning of the day, and I am sure Jesus will take care of them, when you have forgotten many of them. He will take care of the intentions, and the offerings of the early morning hour, which you have laid on His Altar. I am certain of this, that as we thus go on through life towards its evening, our Lord will unfold to us some of the beauties and the privileges of His “Glorious Church,” in ways which perhaps some of us have only half realised - yes, perhaps have only half understood. And then we shall, in very truth, realise, and rejoice in realising, what the “Glorious Church” is. Then we shall know that in this Church there is ever a Host pleading, every moment of the day and night continually, for us, whom “He hath perfected for ever;” and that in this “Glorious Church” we ever have an Altar of Royal Gold, upreared by the Love of God Himself; on which our tiniest, as well as our greatest offerings may be laid; and that when thus laid, instantaneously they become accepted of God, in Christ Jesus our Lord. 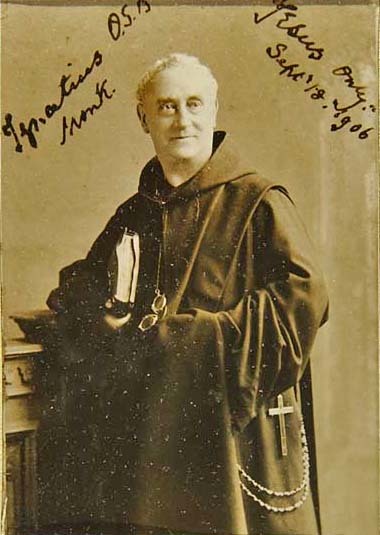 Father Augustine Hoey, formally a Mirfield Father, was received into the Roman Catholic Church at the age of 78 when the Church of England decided to ordain women priests. An article on his remarkable life can be read HERE. SOMETIMES I think that we grow overfamiliar with holy things. We take them all for granted. I wonder, for example, how much time each one of us has spent in preparation for receiving the Body and Blood of Christ this morning. I wonder, did we spend last evening in such a way that it was a suitable preparation for our Communion this morning? In the early days of the Church our Christian forefathers used to gather together about midnight every Saturday evening; and they would then spend the whole night in vigil waiting for the Sunday Mass, which was celebrated just before the dawn—being the traditional hour of the Resurrection. Well, we’ve come a long way since then, in the kind of preparation that each one of us makes. Don’t let us grow familiar with holy things. It is so easy to be familiar with the whole Mass - to forget the Awful Mystery in which we are shortly to be plunged. Having ears, we no longer hear: Our ears have grown deaf to the truth of the mystery of the Mass. Our eyes have grown blind. We are overfamiliar. What do we really mean when we say that every single Mass is the proclamation and is the setting forth of the Birth, and the Death, and the Resurrection and the Ascension of our Lord and Saviour Jesus Christ? What do we mean by that? How would you explain what you mean by participating, as we are each going to in a few moments, in the birth, the dying, the rising and the ascending of Christ? On the first Christmas Day we know that God came down into our midst, that He clothed Himself in the flesh of a newborn baby boy. Outwardly there was nothing unusual to see. When those shepherds got to the stable, the child in the manger didn’t look any different from any other newborn baby boy. The only difference was that the conditions of birth were more squalid and sordid than usual. There was no mysterious light playing ‘round the head of the child or of our Lady or St. Joseph, such as we love to put on our Christmas cards. It all looked so ordinary . . . And yet you see those shepherds - and this is incredible, really, when you reflect upon it - they had the faith to see the truth beneath the ordinary outward appearance. In every Mass you see how we participate in the birth of Christ as He comes again into our midst; and we have to bring the same act of faith as the shepherds brought. It is quite clear to any of us that as we reflect on the Words of Institution which Jesus used at the Last Supper, that when He said over the bread “This is my Body,” and over the wine “This is my Blood,” we realize that these words only have any kind of significance when they are seen in the context of the crucifixion. They don’t mean anything without the crucifixion, do they? Then what is the connection between the crucifixion and every Mass we celebrate? What does St. Paul really mean when he tells us that at every Mass we “show forth the Lord’s death until He comes”? Does it mean that at every single Mass Christ is crucified again? Does it mean that? No, it does not! Christ can never be crucified again in a physical sense. We know! We’ve often sung “once, only once, and once for all His precious life He gave.” He cannot be re-crucified physically. Well, then, what is the connection between Calvary and every single Mass? What does it mean when Jesus, speaking through the lips of His priest at the altar, says once again, “This is my body which is given . . . This is my blood which is shed”? It helps me to think of it like this: that when a musician has composed a piece of music - as he writes down the last note on the paper - that piece of music, that composition is finished, finished once and for all. Because if he alters it, it is another piece of music. It is finished, it is completed! But although it is finished and completed we can go on playing it over and over and over again. So is the connection between Calvary and the Mass. Calvary is finished once and for all! But in every single Mass we, as it were, go on playing it over and over and over until the end of time. You read through all the early sermons of the Apostles, and that is what they preached about, always: “Christ is risen.” This is the foundation stone of Christianity. And it is the risen Lord who comes to the altar. It is the risen Christ - the power of the Resurrection - that you and I take into our lives in the act of Communion. “I am the bread of Life,” says Jesus. “He that eateth my flesh and drinketh my blood hath eternal life and I will raise him up at the last day. Every Communion we make is a pledge - a guarantee, if you like - of our resurrection to which we look forward after the physical experience of death. And so the risen Lord is coming to you and me this morning. He is coming into our hearts. But alas, so often we receive Him into our hearts, and what do we do? We treat him not as if he were alive, but as if he were dead. We roll the great stone across the door of our hearts, and we entomb Him there; we imprison Him there. And yet Christ has come to each one of us in order that we might take Him. He wants to go with us into the place where we work, into the place where we live, and to the people we meet when we take our pleasure and recreation. He longs to go, He longs to speak! How can He speak unless it is through our lips? How can He walk where He wants to walk unless it is on our feet? How can he love as He wants to love unless it is with our hearts? And so he comes to us in all the power of his risen life, in Holy Communion. He comes to us that he may go with us, that we may take Him. But the Mass is also the Ascension, because as we kneel at the altar and receive the Bread of Life and the Cup of Salvation, our Lord takes us up with him into the heavenly places, into the bosom of the Father. Every act of Holy Communion is an ascension with Christ into heaven. Oh yes, I know we can’t see anything: it all looks just the same. We don’t hear anything unusual: we all heard it before, so many times. We don’t feel anything. And we certainly can’t understand it - completely. Nevertheless, we do ascend with Christ in Communion to Heaven. And so you see what I mean. And one could go on talking about this forever, because the depths are so profound, the mystery is so great; and all that is implied by saying that the Mass is the setting forth, the living out of the Birth, the Death, the Resurrection and the Ascension of Jesus Christ. The Mystery so great, the wonder beyond all wonders, that really we should fall flat on our faces before the holiness of Jesus - born, died, rising, and ascending. 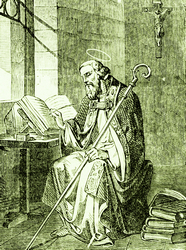 St Hilary of Poitiers (315-368) was born into a wealthy pagan family in Poitiers, France, and received a good education. He married and raised a family. As a result of reading the Christian Scriptures he was converted and then baptized. He became Bishop of Poitiers in 350. When the emperor Constantius II attempted to impose Arianism on the western Church, St Hilary led a vigorous opposition to his efforts. Because of his outspoken criticism, he was exiled to Phrygia in 356. There he became such a defender and champion of Orthodoxy that the emperor decided it would be less trouble to allow him to return to his diocese. St Hilary continued to fight against Arianism until his death in 368. According to the apostle, Lord, your Holy Spirit fully understands and penetrates your inmost depths; he also intercedes on my behalf, saying to you things for which I cannot find the words. Nothing can penetrate your being but what is divine already; nor can the depths of your immense majesty be measured by any power which itself is alien or extrinsic to you. So, whatever enters into you is yours already, nor can anything which has the power to search your very depths ever have been other than your own. Your Holy Spirit proceeds through your Son from you; though I may fail to grasp the full meaning of that statement, I give it nonetheless the firm assent of my mind and heart. I may indeed show dullness and stupidity in my understanding of these spiritual matters; it is as your only Son has said: Do not be surprised if I have said to you: You must be born again. Just as the wind blows where it pleases and you hear the sound of it without knowing where it is coming from or going to, so will it be with everyone who is born again of water and the Holy Spirit. By my regeneration I have received the faith, but I am still ignorant; and yet I have a firm hold on something which I do not understand. I am born again, capable of rebirth but without conscious perception of it. The Spirit abides by no rules; he speaks when he pleases, what he pleases, and where he pleases. We are conscious of his presence when he comes, but the reasons for his approach or his departure remain hidden from us. John tells us that all things came into being through the Son who is God the Word abiding with you, Father, from the beginning. Paul in his turn enumerates the things created in the Son, both visible and invisible, in heaven and on earth. And while he is specific about all that was created in and through Christ, of the Holy Spirit he considers it enough simply to say that he is your Spirit. Therefore I concur with those chosen men in thinking that just as it is not expedient for me to venture beyond my mental limitation and predicate anything of your only begotten Son save that, as those witnesses have assured us, he was born of you, so it is not fitting for me to go beyond the power of human thought and the teaching of those same witnesses by declaring anything regarding the Holy Spirit other than that he is your Spirit. Rather than waste time in a fruitless war of words, I would prefer to spend it in the firm profession of an unhesitating faith. I beg you therefore, Father, to preserve in me that pure and reverent faith and to grant that to my last breath I may testify to my conviction. May I always hold fast to what I publicly professed in the creed when I was baptized in the name of the Father and of the Son and of the Holy Spirit. May I worship you, the Father of us all, and your Son together with you and may I be counted worthy to receive your Holy Spirit who through your only Son proceeds from you. For me there is sufficient evidence for this faith in the words: Father, all that I have is yours, and all that is yours is mine, spoken by Jesus Christ my Lord who remains, in and from and with you, the God who is blessed for endless ages. Amen.